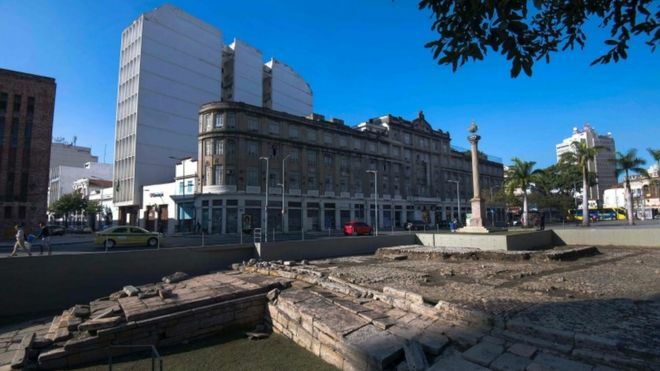 A wharf in Rio de Janeiro where nearly a million African slaves are estimated to have landed has been declared a World Heritage site by the UN cultural organisation, Unesco. The Valongo wharf operated for three centuries and became the biggest entry point for African slaves in Brazil. Its remains were discovered during renovation work for the 2016 Olympics. Brazil was the main destination for African slaves in the Americas. After the long journey across the Atlantic, emaciated African captives were kept in the wharf area to recover and gain weight, so they could be sold on at slave markets.